We’ve had a lot of clients come to us to help them re-work their marketing materials or develop their marketing messages from scratch. This is what we do. We’re marketing consultants. We help our clients sell themselves through carefully crafted marketing messages and materials like websites, brochures and presentations. Well, it’s difficult, sometimes, for folks who are so deeply involved in a process, product or service to be able to actually communicate what their amazingfantasticfabulouswonderful “thing” actually provides for the user. It’s easy to explain why the “thing” is amazingfantasticfabulouswonderful…because, you know, it has this bell and this whistle. But just listing off a bunch of bells and whistles (features) doesn’t really tell users… WHAT’S IN IT FOR THEM (benefits)! Let’s be honest…your users? Yeah…the folks you kinda need to woo here? They really only want to hear what’s in it for them. They’re human, after all. So while it’s ok to point out some of the things that make your product or service so great…it’s even more important to explain how those things make your users’ lives easier or better or more fun or SOMEthing. Let’s take a toothbrush, for example. Toothbrushes come in a variety of shapes and sizes. Some are battery operated. Some glow in the dark. Some come with a lid. Some have small brushes. These are all features. 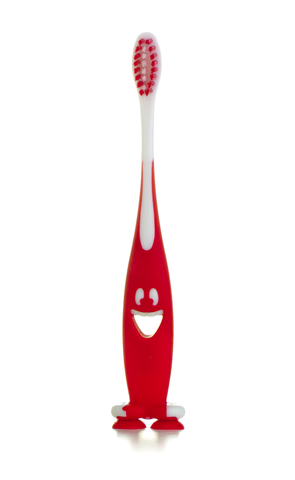 But none of those things really say why someone should buy this toothbrush over another one. So what are the benefits here? Well…battery operated toothbrushes claim to provide a more superior clean because you get more brush strokes without more effort. Whoa! Really!? That’s amazing! Less effort and more cleaning!? Sign me up! Glow in the dark toothbrushes can be more fun for kids. Or can make it easier for folks who have a hard time remembering where they leave things. Can’t find your toothbrush? Oh look! There it is…behind the bottle, under the cup in the very back of the VERY dark cabinet. Good thing it’s GLOWING so you can find it more easily! Travel a lot? Or just like to brush your teeth after (literally) every meal? A toothbrush with a lid slips right into your briefcase, purse, man pouch or toiletry kit. No need to wrap it up in toilet paper or waste a sandwich bag. Just close up the lid and you’re good to go! You see where we’re going with this? Even something as simple as a toothbrush can have many different features that offer many different benefits for users. If toothbrushes can be this complex, imagine how many features and benefits can be found for the latest technological gadget or software package. The bottom line is that features and benefits are two different – but related – things. For you, the provider, it’s exciting to list off all the awesome features you’ve thought of for your new product or service. It’s exciting to think of all the cool things your product or service does. But for potential users? They want to know…WHAT’S IN IT FOR THEM! So don’t make them guess. Just tell them!